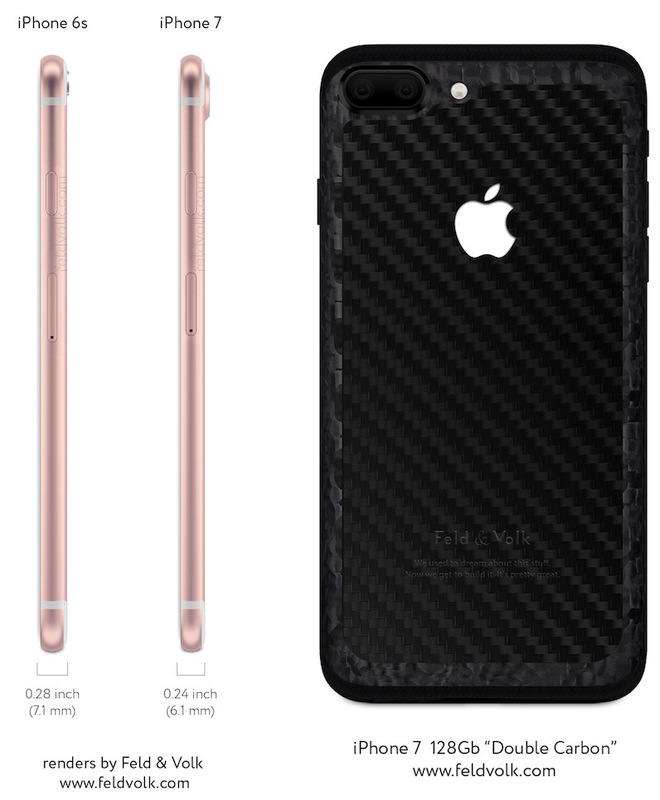 One of the most convincing leaks regarding the iPhone 7 Plus is pictured below and to accompany it there’s a series of renders, showing the device in pink. The novelty is that the dual camera gets a plausible design and there’s also a Smart Connector in the mix. 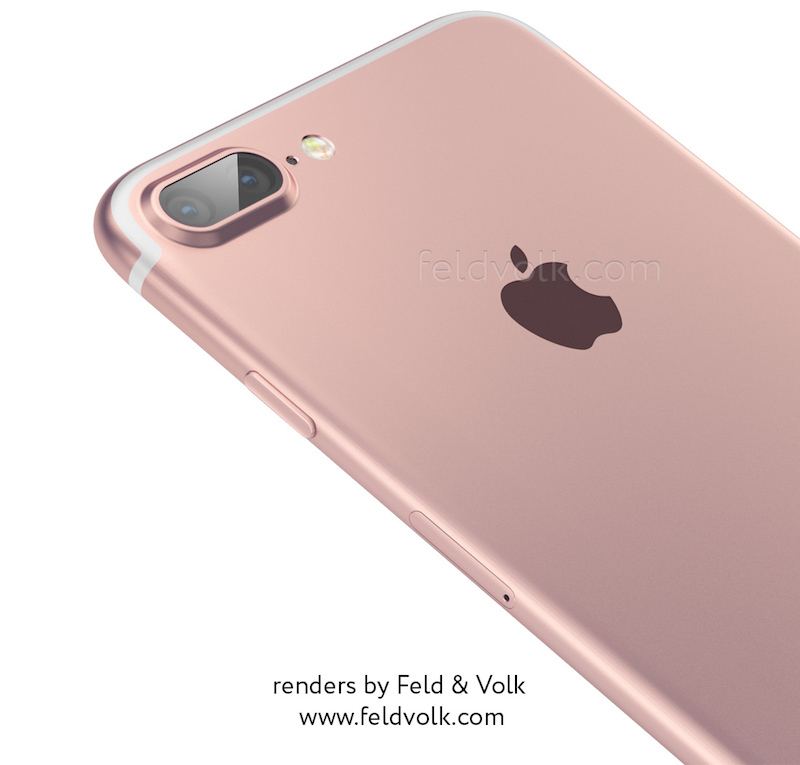 Feld & Volk did the render and it turns out that the iPhone 7 and iPhone 7 Plus will get the dual camera treatment according to the source. 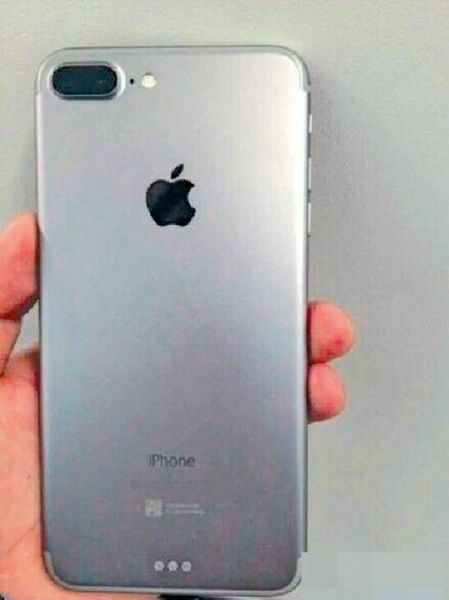 At least one of those phones is said to measure 6.1 mm in thickness and this makes the protruding camera seem realistic. 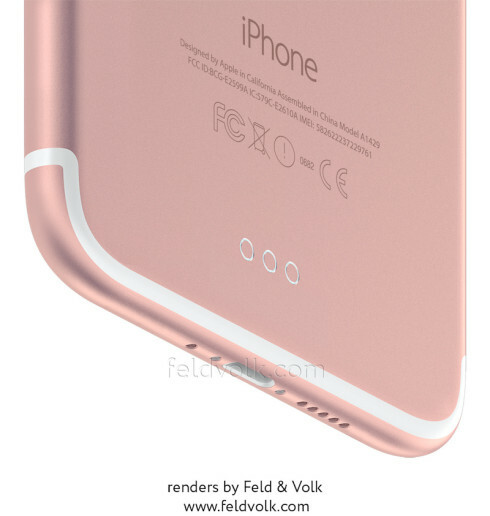 The Smart Connector at the bottom may be associated to accessories, maybe like a special keyboard, wireless charger and things like that. The dual cameras are hidden behind a glass panel (sapphire glass) and the module has an oval shaped piece at the back. The back side antenna cutouts are gone and have been placed at the bottom and top, plus on the sides. Very realistic and well done!